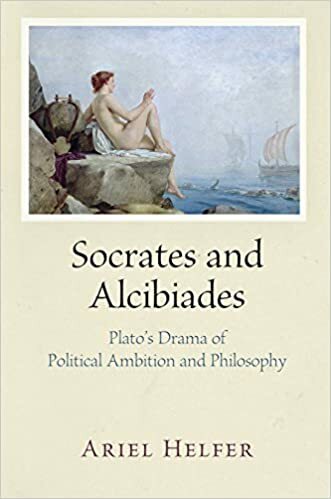 My first book, Socrates and Alcibiades: Plato’s Drama of Political Ambition and Philosophy is forthcoming from the University of Pennsylvania Press in May, 2017. (You can pre-order it on Amazon now!) The book provides an interpretation of Plato’s three major depictions of Alcibiades: Alcibiades, Second Alcibiades, and the final speech in the Symposium. The first two of these, to differing degrees, have seen the authenticity of their Platonic authorship challenged in the last two hundred years or so. In the introduction to my book, I argue for the need for an interpretation that treats all three texts as part of a coherent Platonic narrative that traces Alcibiades’ Socratic education from their first encounter to the eve of the fateful Sicilian expedition. Click the links below to download a 5-page precis of my book or an expanded table of contents. Feel free to contact me if you would like to see more. M y next book will focus on Plato’s Letters. Plato is famous for advocating the political rule of the philosophers as a utopian ideal. In his Letters, he reveals that he was often called upon in his own lifetime to implement the political counsel he was known to espouse in books such as the Republic and Laws. But Plato showed much less zeal and much greater circumspection than his devoted followers when it came to bringing political philosophy to bear on practical affairs—and even then, his greatest endeavor, an attempt to reform the powerful Sicilian city of Syracuse, was an utter failure. The conclusion toward which the Letters points us, therefore, is that Plato was much less committed to the idea of philosophic utopia than is often supposed on the basis of his most famous political dialogues. Part of the reason this has gone largely unnoticed, however, is that the Letters has barely ever been recognized as a genuine work of Plato since antiquity. It has been instead been treated as a collection of (forgeries of) scraps from Plato’s literary estate. This book will seek to reopen the debate concerning the authenticity and status of the Letters by engaging scholarly criticism, translating the work for the sake of readers who wish to study the Letters as a Platonic unity, and advancing my own interpretation of the work.